Exactly 100 years after the publication of the general theory of relativity, scientists find proof of gravitational waves predicted by Einstein. Einstein’s greatest achievement and one of the foremost intellectual achievements of all time completes a 100 years this year. If you think that you have no use for Einstein’s seminal theory, think again. The accuracy of the ubiquitous navigations systems that depend on the Global Positioning System rely on special and general relativistic corrections to Newton’s Laws. Other physics related posts here. The current woes of the Secret Service may be related to the sequestration cuts that went into effect when austerity cat ruled Washington. do budget cuts in the Secret Service when the current occupant has been getting at least three times more death threats makes sense? They do, if your goal is to drown the Federal Government in a bathtub and you don’t particularly like the current occupant of the White House. Of course, there are those in Congress who are denying the obvious cause and effect relationship. I wonder what other effects is the continuing sequestration having on other government agencies and the continuing effects of sequestration on science. Particularly, the harm done to the National Institutes of Health and National Science Foundation, and other government funded research. Scientific and technological edge is what made this country what it is, so killing basic research for tax cuts, makes little sense. It is akin to eating your seed corn. There usually is no immediate economic payoff from basic research, so if government doesn’t do it, business is not going to step in and make up the difference. How many scientific careers have been put on hold because of these cuts? If you have been directly affected by the budget cuts due to sequestration, please share them in the comments. Thanks! ETA: You can also e-mail me your stories at manyworldsonecat@gmail.com. In the age of science what does it take for a person to be superstitious? Myths helped our distant ancestors to make sense of the world so I understand why they exist. That there are a sizable number of people in the twenty first century who believe that the earth is six thousand years old or that performing certain rituals brings you good luck and the failure to do the same, hardship, boggles my mind. Their God seems like a petty tyrant rather than a divine being. It also seems essential to their world view to coerce others to their point of view. Their use of religion as a bludgeon to enforce their authority and control, is off-putting to say the least. A brief recap of the properties of light that we have encountered so far in Cosmos. The speed of light through vacuum is nature’s speed limit. The speed of light depends on the medium. Visible light is composed of seven primary colors. Energy of light waves depends on their wavelength. Our eyes are sensitive to a small band of electromagnetic radiation. These properties were hiding in plain sight but it took centuries and the work of many individuals to unravel these properties. Lots of imagination and hard work went into getting nature to reveal its code to us. You may ask, how does this concern me? Why should I care? It does because the entire edifice of modern life, from your hand held device to your camera phone uses this knowledge. 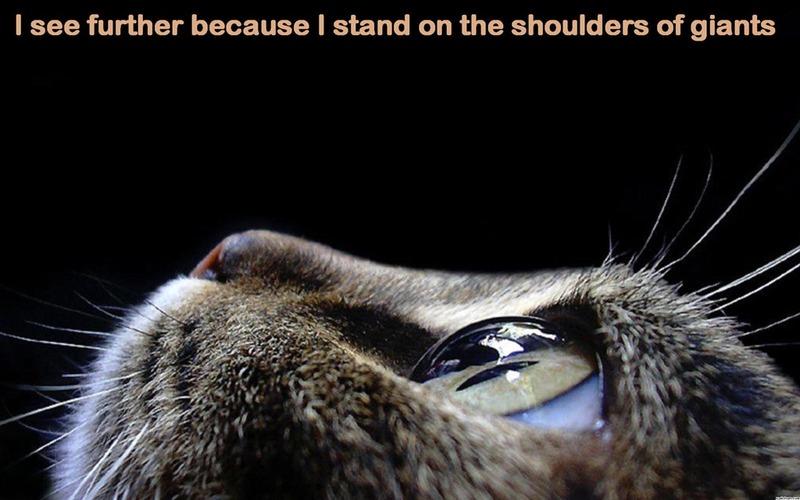 To paraphrase Newton, each of us can see farther because we are standing on the shoulders of giant. Technological progress is possible because of research in the pure sciences. Unfortunately funding for science is getting shortchanged these days in the name of fiscal prudence, see for example, sequestration. Light can demonstrate both wave-like and particle like phenomena. Light waves are transverse electromagnetic waves. The last property has been taken for granted but never been elaborated upon by Neil De Grasse Tyson while narrating Cosmos. There is a great story lurking behind that fact, I hope he tells it in one the upcoming episodes. My reviews of previous episodes here , here and here. It is as if Neil De Grasse Tyson read my last review, and decided to give us the physics behind the light show of last week. He covered a lot of ground, this week. This episode began its exploration of light with geometric optics and pinhole cameras and ended with speculation about dark matter. This week’s history lesson told us about the contributions of the ancient Chinese experimentalist and philosopher, Mozi, and the Arab philosopher-scientist Alhazen, of the ancient Indian mathematical concept of zero. An excellent counterpoint to those who insist that Christianity was an essential aspect of the scientific revolution. Unfortunately Mozi’s teachings did not survive the Chinese thought police. Like the Inquisition era Catholic Church they too were afraid of the open exchange of ideas. No one has a monopoly on either the smart or the stupid but the cultures that allow an open exchange of ideas flourish, while those who stifle them, don’t in the long run. Continuing our exploration of light, Tyson revisited Isaac Newton and his discovery of the spectrum of visible light. Newton figured out that sunlight or white light is a composite of the seven primary colors, VIBGYOR (Violet, Indigo, Blue, Green, Yellow, Orange and Red). Newton was not the main star of Sunday’s Cosmos, instead it was Joseph Fraunhofer, for his contributions to spectroscopy. He was the first to observe the solar spectrum with a telescope and analyze it. De Grasse Tyson then described the atomic structure of hydrogen, and quantum mechanical explanation of its spectrum. He then generalized it to atoms of elements more complicated than hydrogen. Thus looking at the spectrum of a heavenly body we can figure out what it is made of. In a brilliant graphic Tyson demonstrated how the New York skyline changed when we focused on the different parts of the electromagnetic spectrum. The different parts coinciding with different wavelengths. To explain the concept of a wavelength, Tyson compared light waves and sound waves. Missing however was any mention of Thomas Young, who experimentally proved the existence of the wave nature of light. Also, there was no mention of Newton’s corpuscular theory of light which had to be eventually discarded since it could not explain interference and diffraction. What I love about physics in particular and science in general, that it does not matter whether you are Newton or Einstein, if what you say does not agree with experiment your theories have to go. Put up or shut up. Physics does not bow to the rules of the thought police. Tyson still has to discuss the wave-particle duality. Though, he briefly touched on quantum mechanics while discussing the hydrogen atom he has yet to talk about the Uncertainty Principle. I am sure that the quantum revolution of the early part of the last century will be the subject of a future episode. The changes it brought about, in how we perceive both matter and light were radical. As is always the case, that revolution too had its own thought police. Previous reviews of Cosmos, here and here. I think we have a real dud of a show in the making. I beg to differ, my reviews of Cosmos are here and here. Daily Beast’s David Sessions, argues that Bruno was a theologian not a scientist. What Cosmos doesn’t mention is that Bruno’s conflict with the Catholic Church was theological, not scientific, even if it did involve his wild—and occasionally correct—guesses about the universe. Sessions must have fallen asleep while watching the episode, because I distinctly remember De Grasse Tyson mentioning that Bruno’s was not a scientist. Andrew Sullivan at the Dish, finds the history lessons cartoonish. The segment previewed above is on the 16th century priest and philosopher Giordano Bruno, which includes deGrasse Tyson intoning that the Roman Catholic Church sought to “investigate and torment anyone who voiced views that differed from theirs”. Really? Yes, really. Has the great scholar of history not heard of Galileo? Besides, what does it matter if Bruno was not a scientist? I thought Andrew Sullivan was against torture. Or is torture okay if condoned by the Catholic Church? Besides have Sessions and Sullivan not heard of Copernicus? He delayed the publication of his book until the year of his death. The book, postulated a heliocentric solar system based on his observations of the planets. Perhaps, because as a man of the cloth, Copernicus was aware of the blow back from the Church if he published his thesis. What exactly is Bruno’s being a priest supposed to prove? In fifteenth and the sixteenth centuries, not many besides priests and noble men had the time to dedicate their life to philosophical or scientific questions. I don’t really get Sullivan’s and Sessions’ criticism. Neil De Grasse Tyson and Cosmos continue its journey through space-time. The reason this journey seems stranger than science fiction is because it is beyond our direct sensory perceptions. In the interior of stars, the effects of both quantum mechanics and relativity cannot be ignored. We can safely ignore quantum mechanical effects in our day to day lives, unless we are dealing with matter on the atomic atomic scale or smaller. As for relativistic effects, they become important only when we approach the speed of light. If you are interested in exploring what quantum mechanical and relativistic phenomena would look like if we could experience them via our senses you should read the Russian born physicist, George Gamow’s Mr. Tompkins series. Coming back to Cosmos, this week’s protagonist was the British astronomer William Herschel, voiced by none other than Captain Picard (Patrick Stewart to non-Trekkies). Herschel is credited with discovering Uranus among other things. The exploration of space-time dealt with the consequences of applying Newton’s laws of motion and that of universal gravitation to the astronomical objects. Tyson also tackled the concepts of action-at-a-distance through the presence of a force field. We learned about an astronomical unit of distance, a light year, and the mind bending consequences of nature’s speed limit, the speed of light. We were also introduced to Maxwell’s equations and the origin of electromagnetic waves of which the visible light is but a very small portion. 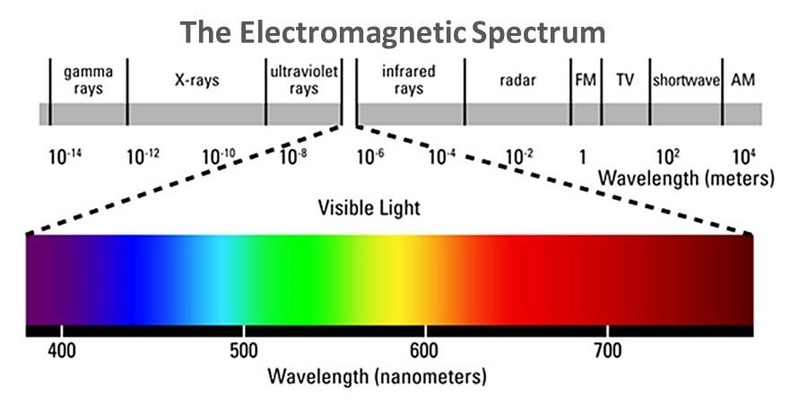 If human beings are the products of intelligent design then pray tell why our eyes are sensitive to only a tiny fraction of the electromagnetic spectrum? I wish the show had spent some more time on the idea of ether, the Michelson-Morley experiment which failed to detect its existence and proved that light unlike sound did not need a medium to propagate. De Grasse Tyson introduced the work of Albert Einstein and talked about both the General and the Special Theories of Relativity. The show ended with a thought experiment exploring what might be inside of a black hole. A collapsed star with a gravitational pull so great that even light cannot escape it. I do wish though that Tyson would spend more time discussing the physics behind the dazzling light show. Although, none of the physics De Grasse Tyson discusses is cutting edge, most of what he tackles would be covered in undergraduate physics, it is timely and necessary. Especially if it helps bridge the gulf that separates lay people from practitioners. The depth of scientific ignorance, seen in debates over climate change and evolution, even by media heavy weights is mind boggling, so the timing could not have been better. Lasting economic success is built on technological progress which is not possible without basic science. This fact seems to be lost on policy makers, who give preference to tax cuts for the 1% over funding for basic science. Industry is not going to step in to fund basic research, or any product that can’t be marketed for an immediate return. We need science for the sake of science, to satisfy our innate curiosity, a purpose higher than increasing quarterly earnings. You will find the review of the earlier episodes of Cosmos, here. So far I am loving Neil De Grasse Tyson’s Cosmos reboot. I saw the original one with Carl Sagan only sporadically, so I can’t really compare the two. Tyson has managed to bring the wonder of science alive. That amazement often gets lost when you are in the weeds, either doing research or even taking a science class. It is easy to forget that behind all the math and the jargon is the eternal longing of the human spirit to answer the question, why? The ebb and flow of great civilizations has one thing in common, our curiosity is rewarded while close-mindedness eventually leads to stagnation and decay. Ignorance and superstition leads to darkness and fear. Although rigid dogma may win the battle, it ultimately loses the war. This is the reason that antipathy towards science of a small but politically active minority should give everyone a pause. A show like Cosmos that gets non-scientists interested and invested in science and reminds practitioners why they do what they do, is exactly the kind of TV we need. Episodes one and three focused mainly on astrophysics and astronomy, while episode two’s focus was evolution. I learned something new in every episode, despite years spent as a physics major and a grad student. Episode one’s main takeaway for me was Giordano Bruno’s story, which I did not know about. Tyson also managed effectively convey our humble presence on the cosmological scale. Far from being the center of the Universe, we inhabit a minor planet circling a minor star in one of the many galaxies in the Universe. On the cosmological time scale, we have been around for less than a blink of an eye. If I ever to make any changes, I would have included Galileo in this episode, both for his scientific discoveries and his struggles with the Catholic Church. Galileo’s contributions were vital to the Newtonian revolution that has shaped science as we know it. Episode two focused on evolution, especially that of the eye, something creationists love to argue about. Tyson made the biology accessible for a non-biologist like me. Now I want to find out more about it. Episode three zeroed in on the Newtonian revolution but Newton was not the protagonist of this episode, rather it was Edmond Halley, of the comet fame. It was due to Halley’s efforts that Newton’s magnum opus, Principia Mathematica was published. The episode covered Newton’s laws of motion, his law of universal gravitation and his invention of calculus. I remember reading about Halley and Prinicipia , when Halley’s comet made its last appearance. The animations brought out the human element behind the science. Two minor quibbles, it was hard to tell Halley and Newton apart, and the music at times was obtrusive and loud. Two quotes attributed to Newton, summarize science at its best, a collaborative enterprise to find the truth. Do you like this iteration of Cosmos and how does it compare to the original? Programming Note: Cosmos airs on Fox on Sunday nights.